About Dream Sleepers, Personalised Sleep Solutions for Babies and children in the UK. 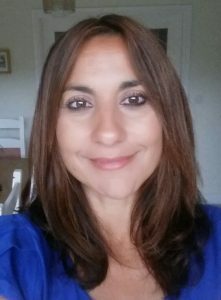 My name is Michelle Long and I have been working as a Health Visitor/Public health specialist for 17 years in the NHS and I am regulated by the ‘Nursing and Midwifery Council’. I am committed to finding the best solutions for families using gentle, nurturing and empowering strategies. It is not surprising that so many parents and carers are confused by the amount of conflicting advice on offer in the community. Babies, children and families are individuals, therefore I will tailor my package to support your infant’s needs. I will provide you with all the infomation, reassurance and guidance to ensure you feel confident and supported. 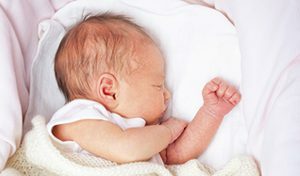 Dream sleepers aim to provide you with personalised evidenced based, sleep, feeding and behaviour packages provided by a trained child health professional. The packages will enable you to confidently and safely support your child to sleep, feed or manage their behaviour. Young babies need feeding regularly through the night until weaning has been established, so I can guide you through gentle strategies that you can use to help your baby settle in between feeds. The advice will always be current and evidence based. With older babies and children’s sleep challenges, I will start by analysing behaviours, routines and activities from the information you have provided me. These everyday activities will help me assess why your infant is not sleeping, feeding or struggling with their behaviour. We will discuss together the changes that can be made and my recommendations will be provided in a personal sleep plan. My approach will be explored with you first, to ensure that you are happy to make the changes necessary in relation to your family’s lifestyle and emotional well-being. This would form part of a free initial consultation. My advice will enable you to respond and understand your child’s sleep, feeding or behaviour difficulties and feel confident to make the appropriate changes. I can advise you by analysing all aspects of child health. For over 17 years I have observed, supported and solved numerous child sleep, feeding and behaviour challenges using a nurturing and responsive approach. My solutions work by requesting information from you first. You will have the opportunity to discuss your lifestyle, limitations, thoughts and feelings. Your infomtion will help me determine why your child is not sleeping, eating or why they are displaying difficult behaviour. This infomation will enable me to create a personalised sleep package. Together we will put in place a sleep, feeding or behaviour package that works. I do not use methods that involve leaving your baby or child to ‘cry it out’. This harsh technique is distressing is for any parent, carer and infant. My approach may involve changing some aspects of your child’s routines and creating positive responses. Please contact me for a free 15 minute consultation I am here to provide solutions and support you through your child’s difficulties.